Neely Kate Coulson’s life is a carefully built house of cards—and now her newly discovered half-sister is threatening to collapse it. While everyone thinks Kate Simmons was neutralized when she was incarcerated in a psych ward, Neely Kate knows better. 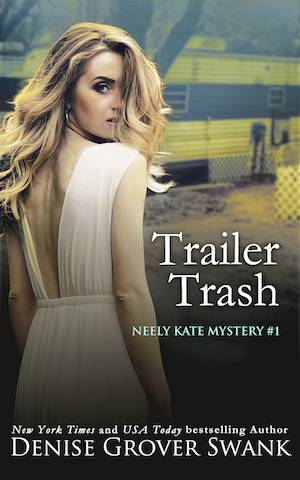 Her sister has been sending her letters threatening to expose her past, only Neely Kate has stuffed so many secrets into every available crack and cranny, she has no idea which ones could be dragged into the light. Growing up with an abusive, drug addicted mother taught Neely Kate to play the game—to be whoever she needs to be in whatever situation she finds herself in. But thanks to her best friend, Rose, she’s discovered she mostly prefers being herself. 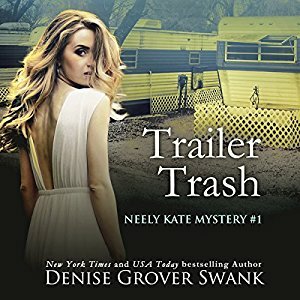 For the first time in her life, she has a lot to lose—a job, a plan for the future, and an adoring half-brother who happens to be the Chief Deputy Sheriff of Fenton County. But topple one card down, and all of them will fall. Everything she’s built could be lost in an instant. Neely Kate knows she needs help, but when she reluctantly turns to Rose’s bodyguard, Jed Carlisle, she faces a far more dangerous threat—only this time her heart is on the line.